Cheerful, smiley Pebble frog baby rattle with crochet eye catching green and blue stripe jumper. 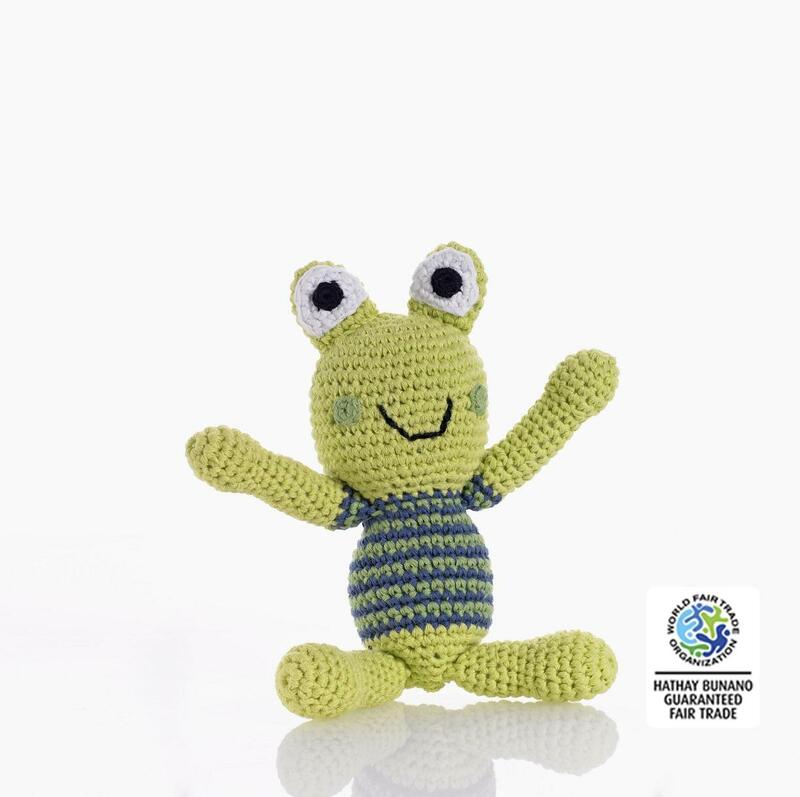 This frog soft toy is crocheted from cotton yarn and makes a wonderful first rattle for babies. With his happy face and soothing rattle sound, he is sure to become a favourite companion. Fair trade, handmade from 100% cotton yarn and suitable from birth. Machine washable.